Unless you’re blind or know someone who is, you might not be familiar with what braille actually looks like. 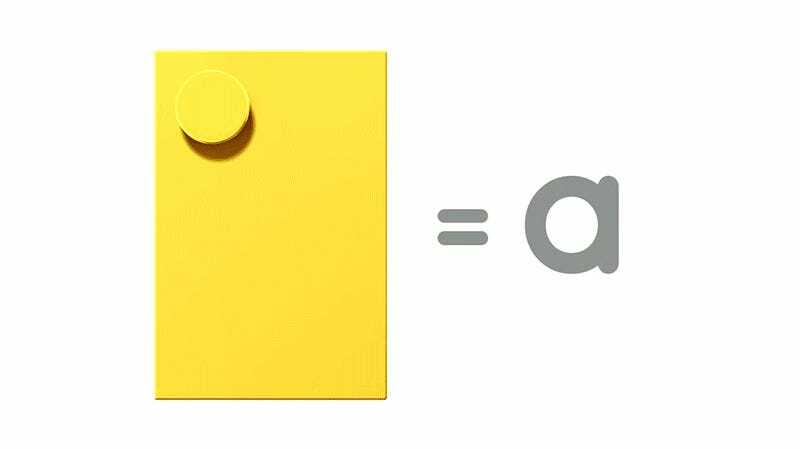 It turns out the braille alphabet uses a series of dot patterns that are remarkably reminiscent of the studs atop a Lego brick, and merging the two makes learning to read and write in braille far more enjoyable for kids. 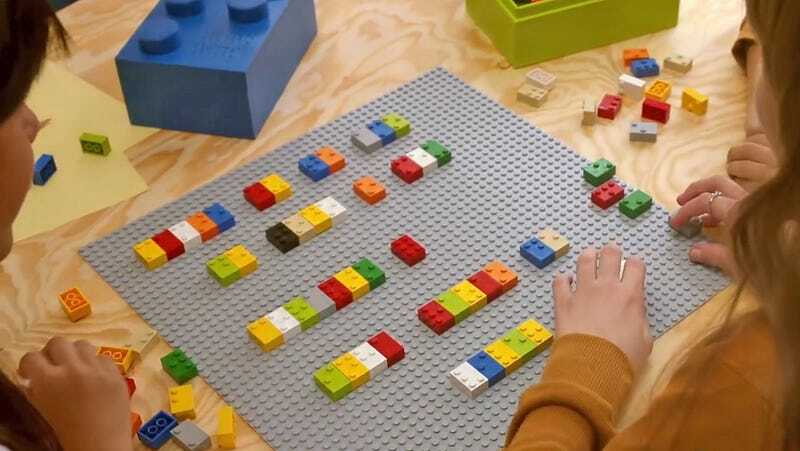 Braille Bricks are not officially associated with Lego, but the plastic pieces look identical to—and are compatible with—the building toy we all grew up with. The only difference is that some of the studs atop the two-by-three Braille Bricks are missing, so that they can represent the 26 letters of the braille alphabet. Instead of using a braille writer to create bumps on paper that spell out words, kids with a set of Braille Bricks can spell them out on a baseplate, which also means they can easily make corrections if they’ve made a spelling mistake. And the Braille Bricks can be stacked and assembled to build other objects, so they double as a genuine toy. Design agency Lew’Lara\TBWA created 300 sets of the Braille Bricks for the Dorina Nowill Foundation for the Blind in São Paulo, Brazil. The agency has also released the design under a Creative Commons license so anyone is able to create their own. And, presumably, to help ensure that Lego doesn’t get litigious since the Braille Bricks were created for charitable reasons.